We're heading to the farm today! No permission slips required, but we are going to be talking plants as Faramcy is all about naturally sourced ingredients and all things green. 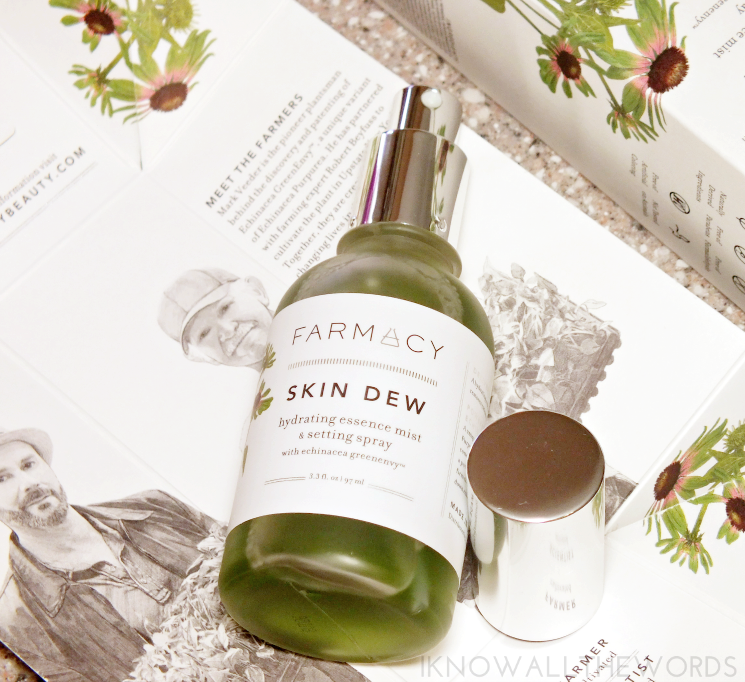 The Farmacy product at hand is the very green Skin Dew Hydrating Essence Mist & Setting Spray. 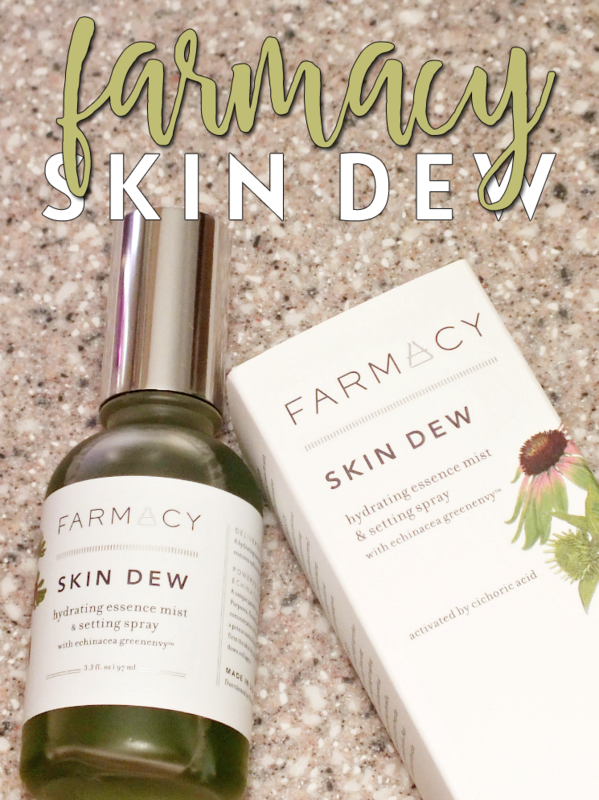 While I knew Farmacy, as a brand, is founded on all natural plant based ingredients, I didn't expect Skin Dew to be completely green. It is. The mist is made from naturally derived ingredients (more on those in a moment), isn't tested on animals, and is free of formaldehyde and artificial coloring. So, what is Skin Dew? It's a liquid essence (like the goo in a sheet mask) that can be used to replenish moisture, soothe skin, set makeup, and perk skin up throughout the day. The mist has a fresh, energizing, herbal scent that is mostly pepperminty to my nose, but is a combination of of essential oils, including rosemary, bergamot and peppermint. The mist contains glycerin, which is a natural humectant, meaning, it attracts moisture to the skin. I have drier skin and happen to love face mists, so this has become an instant hit in both my skincare and makeup routine. This mist works nicely after cleansing as hydrating pick me up before your other products, is great misted on pre-makeup, works nicely to take down any powderiness post-makeup application, and is the perfect mid-day mist to wake skin up and revive makeup. Along with glycerin, the mist features Echinacea GreenEnvy, a unique variant of echinacea that contains the highest known concentration of cichoric acid. Okay, what's cichoric acid? Great question! Cichoric acid helps protect the skin by inhibiting the enzymes that break down collagen, and as you know, you want all the collagen you can get to keep skin youthful and plump. 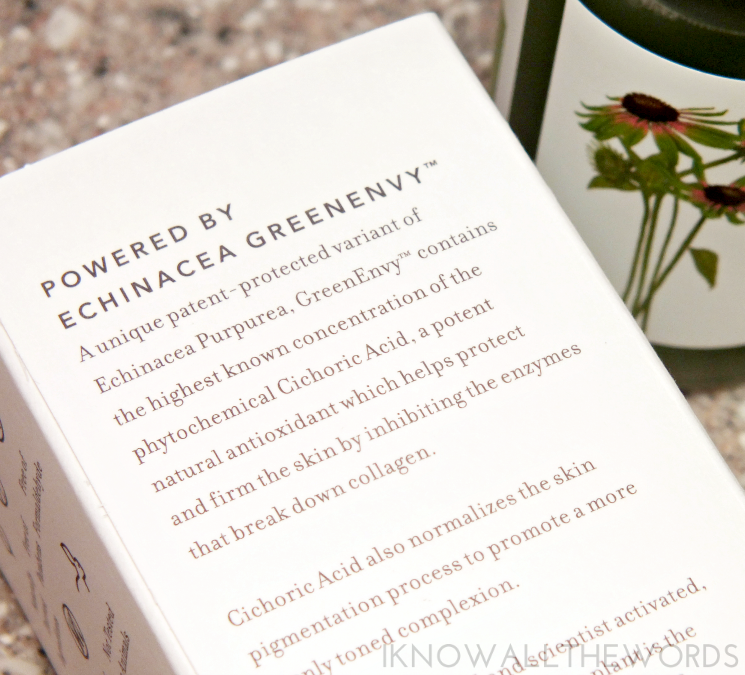 Cichoric acid also works to normalize the skin's pigmentation process to promote a more evenly toned complexion. You want that too. Horsetail juice is also in the mix, which contains vitamin c, tannis, and mineral salts to provide antioxidant and skin soothing benefits. All in all, this green concoction is all kinds of good for your skin. It's nicely hydrating and feels great on skin. The mist is super fine, so you don't feel like you're getting attacked, and it won't obliterate your makeup. 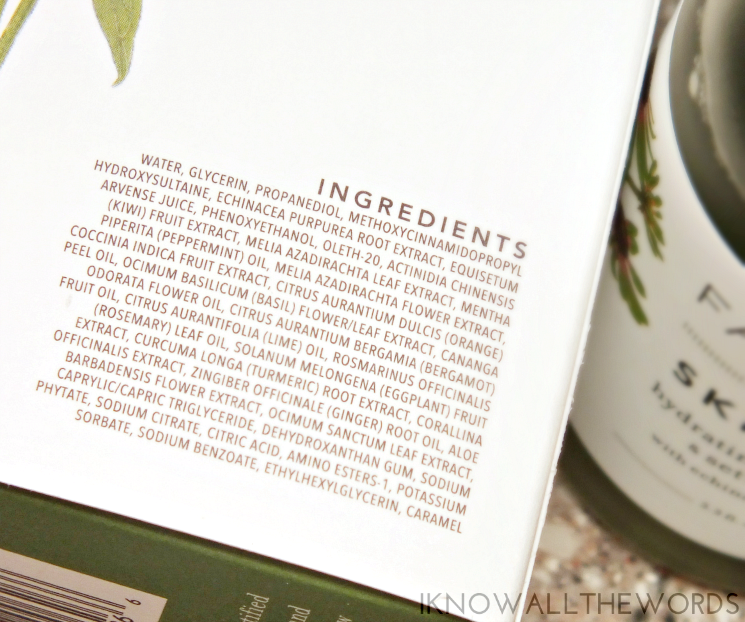 While this is a pricier mist, the quality of the ingredients is worth the splurge. What do you think? Have you tried this or any other Farmacy products?